The fruit of a landmark international collaboration, this book focuses on the final years of socialist Yugoslavia and on the beginning of the country’s breakup. 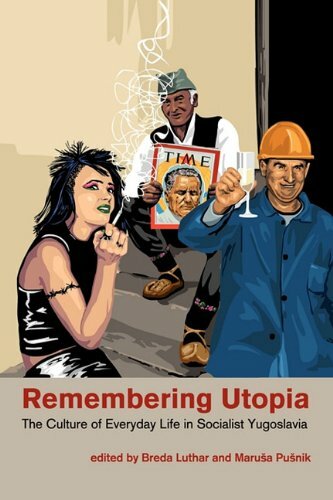 With chapters devoted to each of erstwhile Yugoslavia’s six republics, the book also offers a unique blend of thematic essays on political, cultural, economic, environmental, religious, and foreign policy issues. Bringing together renowned scholars from the United States, Great Britain, Serbia, and Croatia, the book shows how disintegrative tendencies penetrated and affected all spheres of life in Yugoslavia. The resultant war has, therefore, been fought not only on military and diplomatic fronts but also at the level of economics, through literature and film, and in the spheres of religion and gender relations. 8. IVth International Symposium on Apricots and Apricot Culture, Subotica, Yugoslavia 8-13 July 1968.
by International Society for Horticultural Science. This book is as relevant today as it was when written in 1991. Its author was an on-the-ground observer as Yugoslavia was deconstructing as a nation and as the Balkans were once again building to war. Brian Hall tells generally how old ethnic/religious antagonisms can smolder - and specifically how some of the small daily differences between groups make the kindling that eventually gets the fire going. This combination of the general and the mundane are what caused the most recent Balkan conflict, and are probably what ignite most wars. Halls writes, "I felt, as the groups polarized day-by-day, that I was watching a chemical reaction, a precipitation of hatreds resulting from interactions on a molecular level, too tiny to be visible or analyzable, but inevitable and irreversible." One general pre-condition that favored the war in what was then Yugoslavia was the way in which rights and government representation were granted on the basis of nationality rather than on a principle of the inalienable, equal rights of all human beings (as developed in our own Declaration of Independence and Constitution). Those Balkan ethnic groups without a "high historical culture" to point to, often got the short end of the stick. Ethnic heritage - whether Serb, Croat, or Muslim - became a group's defining quality and branded the groups separately. There was no overarching word to encompass and include all groups - as the word "German" embraced and eventually melded both German Catholics and Protestants into a sort of unity after the 30-years-War. On the more specific level, Hall points out how old massacres were constantly being re-hashed in people's daily conversations. But specific cultural habits also made moats between groups. The sequestered life demanded of Muslim women often led to misunderstandings between cultures. But very minute cultural differences would also cause comment and become the basis for one group's disdain of another group. For example, in Croatia it was considered very bad-manners to take a doggie bag home from a restaurant. In Slovenia, that saving was acceptable. All the groups suffered under the Communist regime - with toxic lead build-ups in the vegetables grown on public lands - with shortages - with frustrations of all kinds. But each group translated those sufferings into their own language and suffered them singularly. This book could really have used an index. And Hall could have explained some of his terms better, such as who exactly constituted the "Partisans" he frequently mentions as having played such an important role in the region historically. Overall though, this is an excellent, well-written book - more relevant than ever. 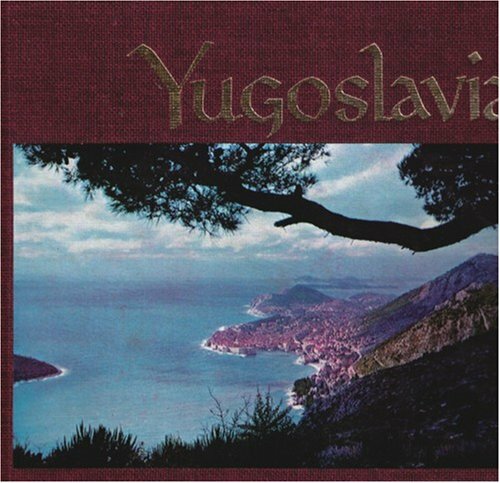 This is my choice for the best introduction to the conflicts in what was Yugoslavian. When I was hosting an exchange student from the Balkans, I read 15 books in an effort to gain understanding. I was frustrated with blatantly one-sided books, and also books which had all the names, dates and horrors but did not help me understand. Hall's book was the best. While I will never truly understand the roots of the hatred, this thoughtful and amazingly non-partisan book opened windows for an uninvolved American into the psyches of that troubled region. I wish I had read it first. This book is a very good introduction to most of the regions/republics which comprised Yugoslavia. 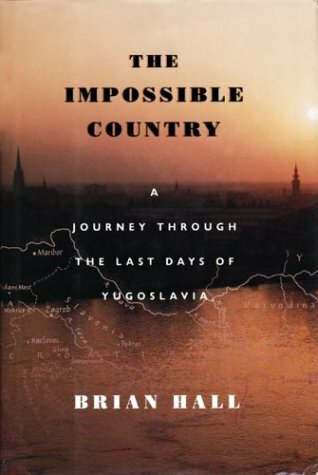 The author is not a great writer or a fantastic historian, but he has created an extremely readable book which introduces the reader to many of the conflicts inherent in Yugoslavia and which caused its demise. The things I read in this book are supported by other works I have read (written after Hall's book) by scholars and Jugoslavian authors such as Slavenka Drakulic. I feel that this book better explains (to the casual reader) Jugoslavia's problems than does 'Balkan Ghosts' or other popular books I've read on the subject. I really enjoyed this book and think it is worth the purchase price for anyone interested in the current Balkan situation. Just about anyone can enjoy this book. I read Brian Hall's account of the Balkan conflict while in Zagreb on a language immersion program. I was incredibly impressed by his ability to give a balanced view on this incredibly difficult land. I felt his astuteobservations made it easier for me to remain neutral in my views andperceptions of the land, people and complicated situation.I wassurrounded by ultra-nationalists, and honestly did not meet a single personin Croatia that could look at their role objectively. Brian Hall's insightshelped me to step back and view the situation with a completely differentoutlook. In this thoroughly updated and revised edition, which includes four new chapters and a new epilogue, a veteran observer of the Yugoslav scene describes the forces that have fragmented the country. Arguing that cultural and religious values underpin political behavior, Sabrina Ramet traces the steady deterioration of Yugoslavia’s social and political fabric over the past decade. This decline, she maintains, is deeply rooted in historical trauma and memory and was foreshadowed in the cultural sphere.Ramet lays the groundwork for understanding the current crisis by exploring the unfolding political debates from 1980–1986, the gathering crisis triggered by the ascent of Slobodan Miloševic to power in Serbia, and the dramatic collapse of the existing political order beginning in 1989. She ties these events to the often overlooked religious and cultural elements of society that have influenced political change. She then examines the political dynamics within Serbia and Croatia since 1991, the domestic and foreign challenges faced by independent Slovenia and Macedonia, the grinding conflict in Bosnia, and the repercussions of the war on gender relations and on cultural and religious life.With her detailed and graphic knowledge of the inescapable links between politics, culture, and religion, Ramet paints a strikingly original picture of the disintegration of Yugoslavia and the emergence of the Yugoslav successor states.